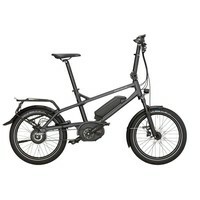 The Tinker:An E-Bike of stature. The city is packed with challenges: commuter hold-ups on the streets, full buses and trains, sometimes heavy luggage and all this even before the sun comes up. But don’t panic. The solution has a name: Tinker. 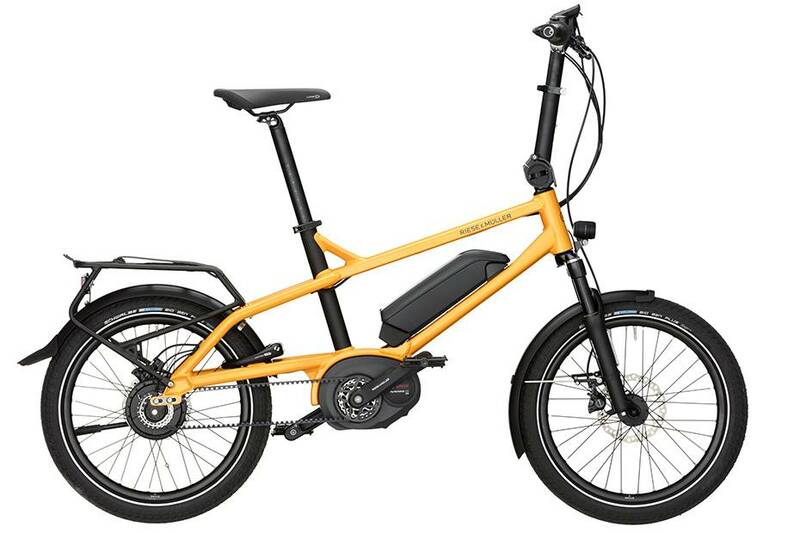 With this compact E-Bike featuring 20” wheels, you can effortlessly glide past all of this with a broad smile. Its frame is so cleverly designed that you can quickly carry it up a few steps or store it in the boot of your car. Even in a full bike store, there is always space for the Tinker. 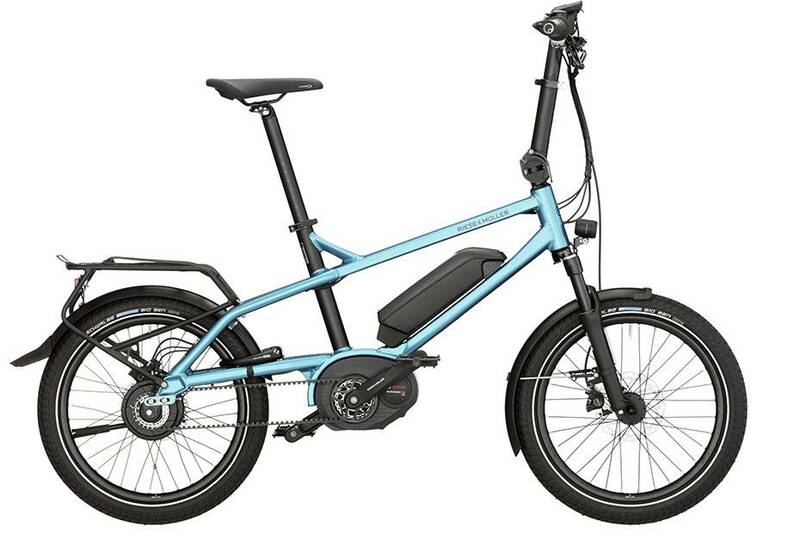 Just as straightforward as the Tinker is in everyday life, it is with regard to the rider: tall, small, man or woman, the bike can be perfectly adjusted for everyone in a few easy steps. Reliable, performance-oriented and innovative – these are the standards to which we hold our E-Bikes, as well as all components and especially the drive system. That's why all Riese & Müller E-Bikes are equipped with the industry-leading Bosch drive system. Flexible stem; Fits everyone. Without compromises. The angle- and height-adjustable stem and easily adjustable seatpost mean that the Tinker can adjust to rider heights from 1.50 to 1.95 m and adapt to every rider's comfort preferences. 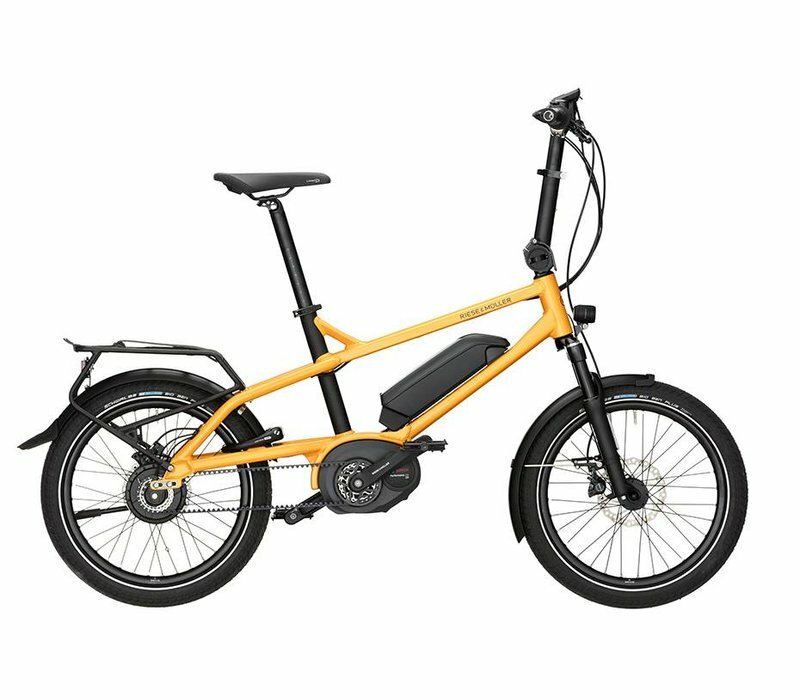 In everyday life, the clever all-rounder becomes the perfect family E-Bike: you ride in comfort, your children will enjoy it and you can quickly lend it to your best friends or your dearest flat mate. 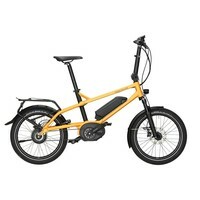 Compact frame; Saves energy and transport tickets. Not a folding bike. Not a mountain bike either. But perfect for busy cities and unspoiled nature. Once the stem is folded and the seatpost pushed in or pulled out, the Tinker can fit into most estate cars, SUVs or mini-vans for transportation. Its frame is so compact that it can effortlessly be taken on public transport. Luggage Rack: racktime standit 28"